The existing Hindi films Badla, Luka Chuppi & Total Dhamaal have got affected by the release of Akshay Kumar starrer Kesari this Thursday. The highly-awaited war drama has diverted the major audience toward itself across the country and running tremendously at the box office with super positive reactions. After the two excellent weeks, Amitabh Bachchan & Taapsee Pannu starrer Badla has started its third week on a decent note. Due to a positive word of mouth, it remained steady throughout and did the business of 38 crores in the first week & 29.32 crores in the second. On 3rd Friday, Sujoy Ghosh’ directorial witnessed a slight drop in footfalls and minted the amount of 2.07 crores. With this, the total collection of Badla after 15 days has become 69.39 crores nett at the domestic box office. The film is expected to rake around 74.50 crores by the end of this weekend. 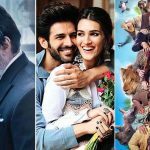 More than half a month back released, Kartik Aaryan & Kriti Sanon starrer Luka Chuppi has started its fourth week at an average note and managed to collect the amount of 0.61 crore on 4th Friday. After 22 days, the total collection of this funfilled romantic comedy has become 87.60 crores nett with 86.99 crores from last 3 weeks. 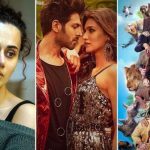 In parallel, the third film in Dhamaal franchise, Ajay Devgn starrer Total Dhamaal started its fifth week at a low note and collect 0.30 crore on 5th Friday. With this, the total collection of Indra Kumar’s directorial after 29 days has become 153.61 crores nett with 153.31 crores from last 4 weeks.